Some things are better in person. As brilliant as your designs are, they’d be even better if you got to touch them, hold them, and feel them. Canva Print is our professional printing service. We’ll make sure your cards look as good in person as they do on screen. 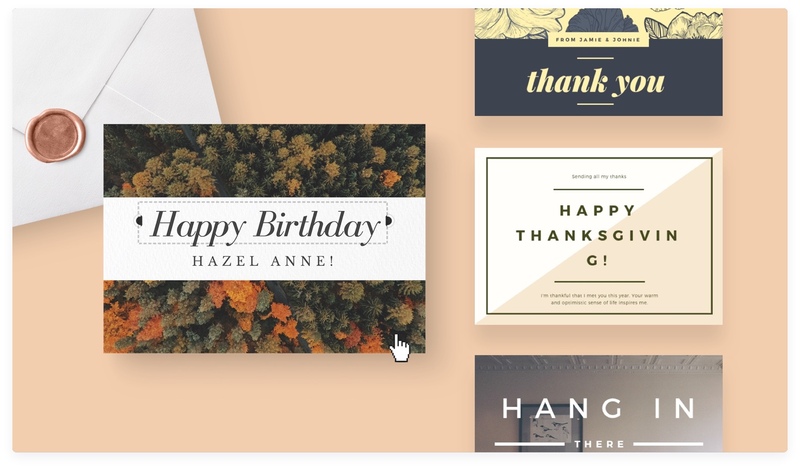 Connect with custom, printed cards that make awesome keepsakes. Choose from standard or premium print stock and a matte, glossy or eco-friendly finish. And we deliver to your door in 3-5 day—or choose our Express option for super-fast shipping. Can I edit my card design after I’ve downloaded it?